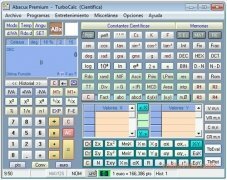 The large amount of fields that require mathematical calculations become clear with applications like Abacux, a program that offers both complex and simple calculations, as well as mathematical tools, and manages to cover many of the faces of scientific and day-to-day life. 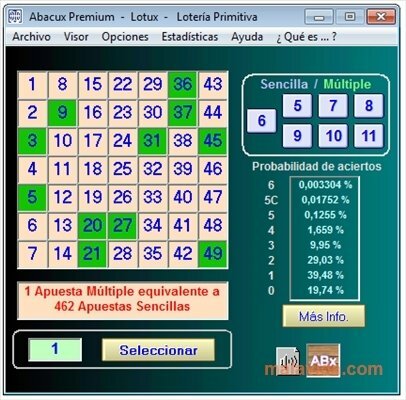 Abacux is a program with various tools from one of the most complete scientific calculators that you can encounter (that also has a normal version) that includes angle calculations, bases and percentages, to a simulator for the Spanish Lottery (Primitiva, Bonoloto and El Gordo de la Primitiva). 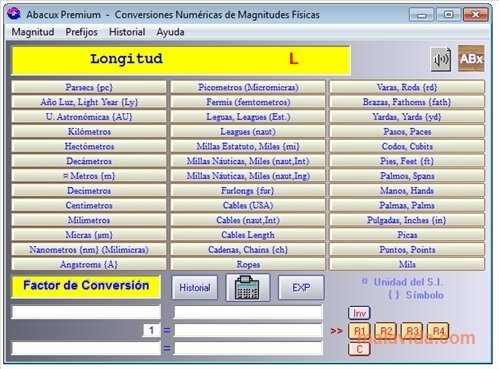 What's more, it includes a distances, capacity and physical unit converter. 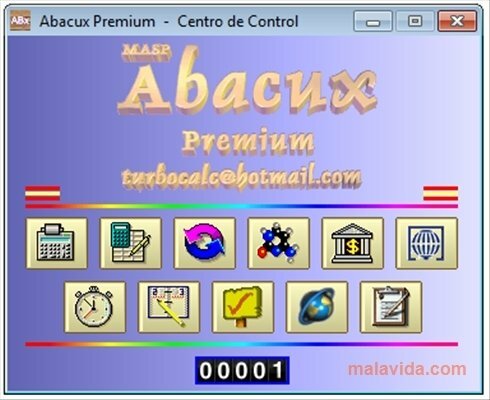 And the complications of bank, mortgage and other similar calculations are totally eliminated thanks to the tools that Abacux includes for these purposes. When it comes to having a quick reference, a periodic table of elements is also very interesting. And if this isn't enough, a good calendar and a clock with an alarm will remind you of any important event. 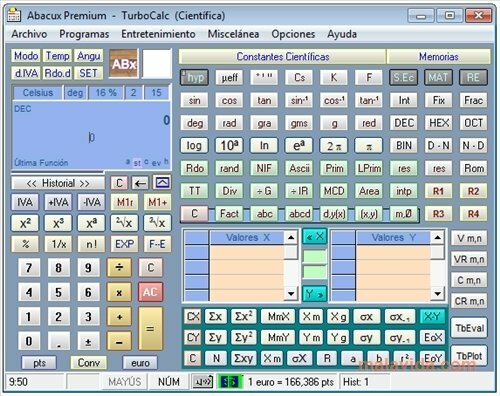 The programs interface is rather strange, because it doesn't follow the usually patterns, nevertheless, once you launch the program you will have direct access to each tool that will open in a separate window. 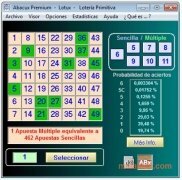 The trial version has limited funtions.